AAA Four Diamond Award winning boutique inn - 2014, 2015, & 2016. Courtyard View category type - First floor level pet-friendly units. Premium Bay Front unit with private balcony overlooking the Atlantic Intracoastal Waterway. 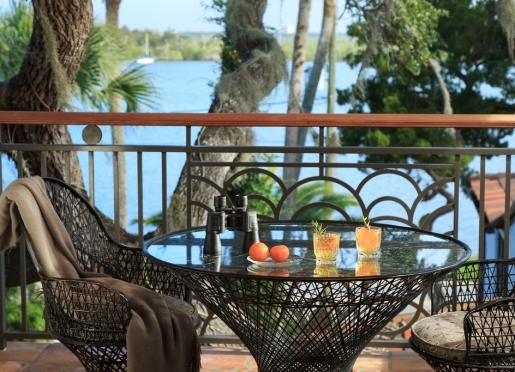 Bay View Suite on the first floor level overlooking the fire pit feature and Indian River Lagoon. Superior Coastal unit - our best value with limited views of the Intracoastal Waterway. Premium Bay Front unit - with exquisite waterfront views. 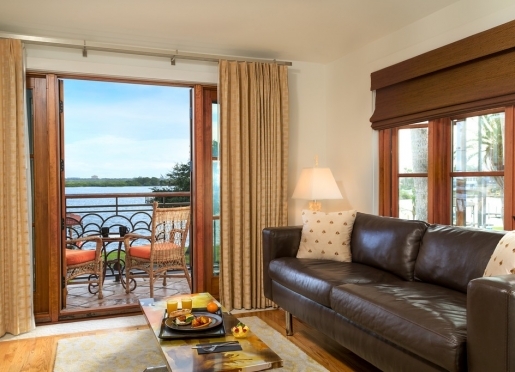 Bay Front Suite - with parlor area and private balcony. 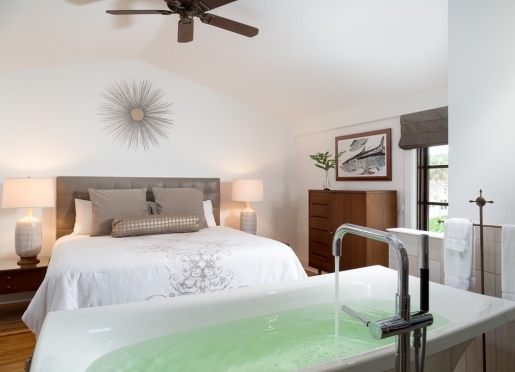 Luxury Bay Front unit - with freestanding Kohler soaking tub. 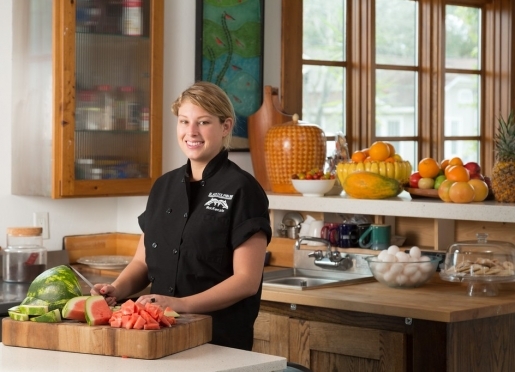 Executive Chef MacKenzie creating her magic in our open-air exhibition kitchen. Bay View Suite - With private furnished balcony on the second floor level. 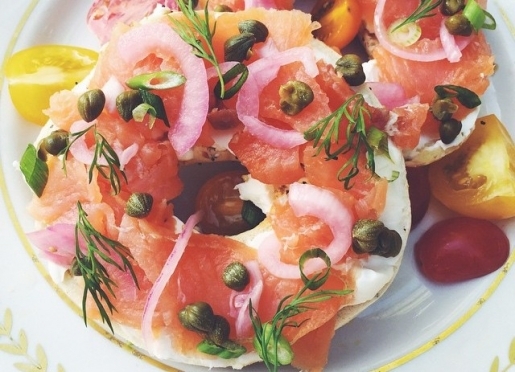 Bagel with Lox garnished with capers, onion, & tomatoes. 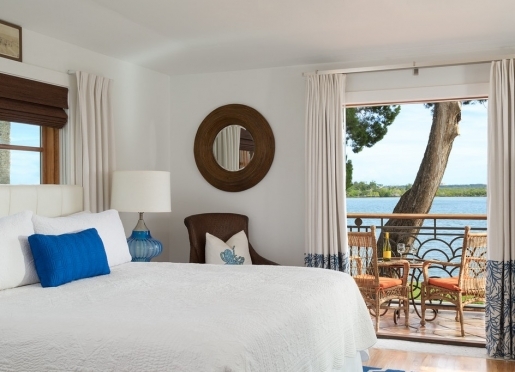 Deluxe Bay View unit - one of our most popular room types. Deluxe Bay View unit - with 350 sq ft. of interior space. 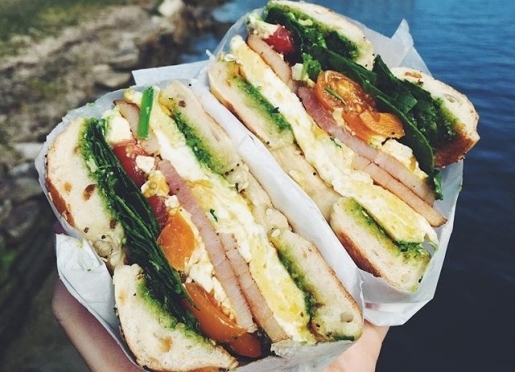 Colossal breakfast sandwich for the heartiest of appetites. 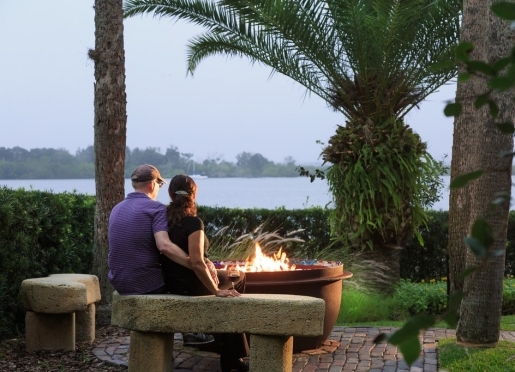 Customized fire pit feature - perfect for rekindling romance. Honeymoon Suite private balcony with gorgeous bay views. 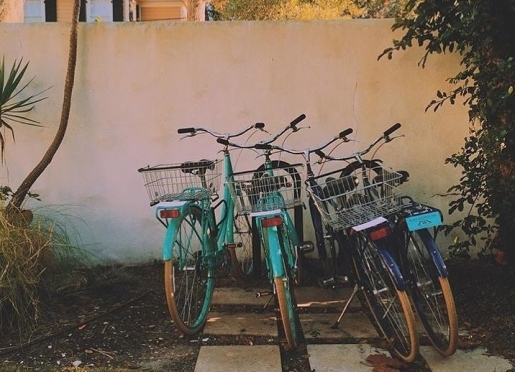 Complimentary Public bicycles - perfect for touring our local neighborhood. 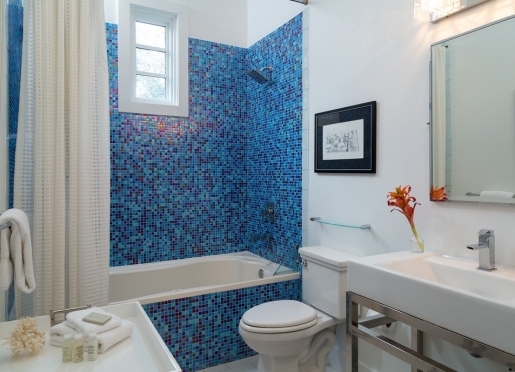 Our spa-inspired bathrooms are wrapped in glass mosaic tile. 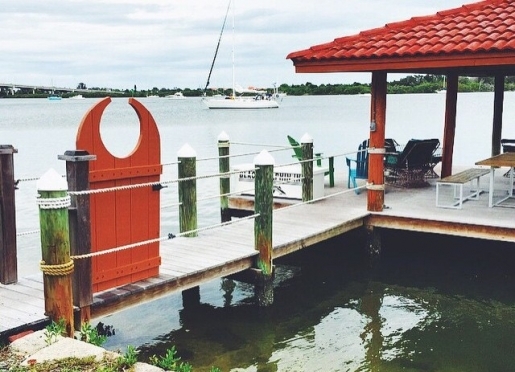 Our private dock, where our guests can interact with our nautical surroundings. 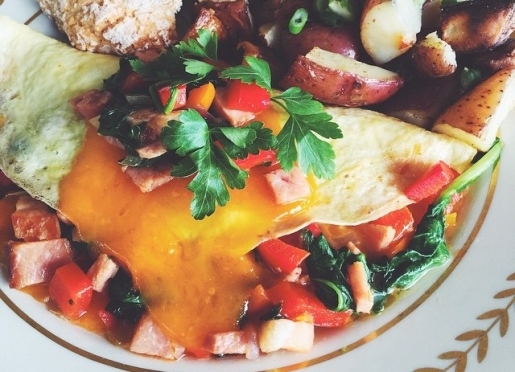 Breakfast omelette with ham, spinach, arugula, and local vegetables. Courtyard View units are ideally suited for a girls weekend or a family getaway. 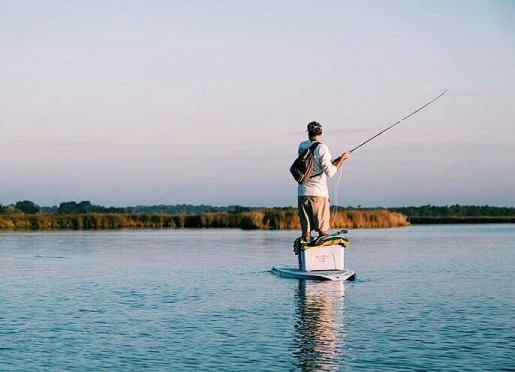 Flats fishing on a paddleboard - just minutes from our private dock. 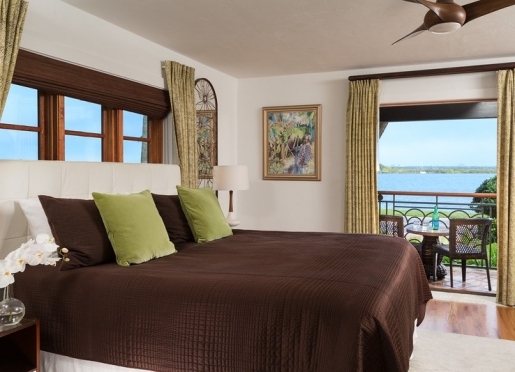 Bay Front Suite with private balcony overlooking the Atlantic Intracoastal Waterway. Beach walkway over the dunes at New Smyrna Beach. 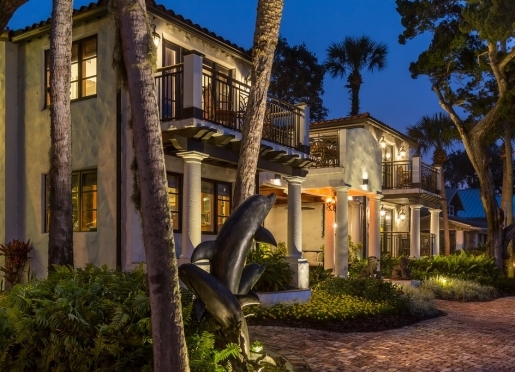 A quaint Old Florida beach town is the setting for this elegant Spanish-Isle boutique inn overlooking the Indian River in New Smyna Beach on Florida’s East-central Atlantic Coast. 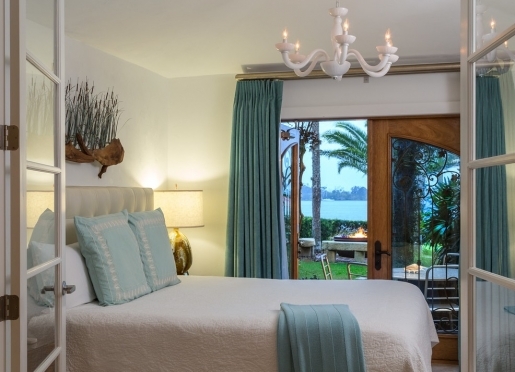 Opened in 2013, the Black Dolphin Inn is the recipient of the 2014 Traveler's Choice Award as one of the Top 10 Inns in the US, AAA Four Diamond Award, BedandBreakfast.com Top 10 Beach B&B's worldwide ,ILoveInss.com Top 10 Most Romantic Inns in the US, 2014 Fodor' Choice Award, and the Guardian'sTop 10 B&B's and Guest Houses in Florida. 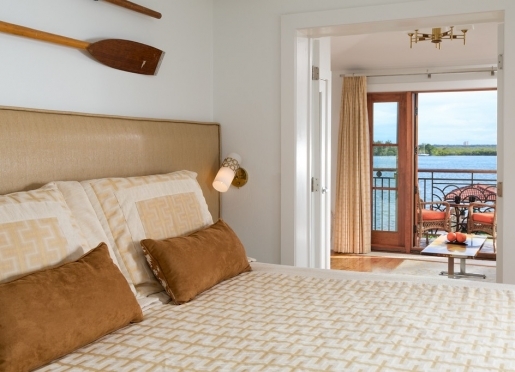 The 14-room inn gets its name from the plentiful dolphin who gracefully patrol the waters off its dock. 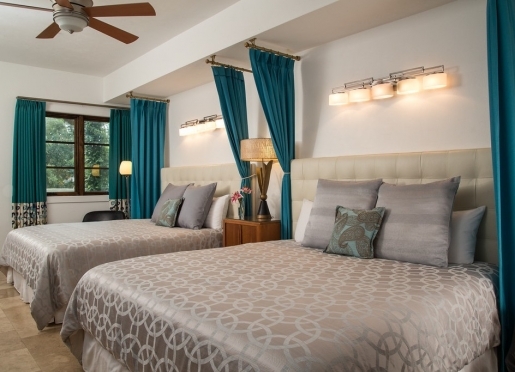 Accommodations include guest rooms and suites with balconies and outdoor terraces, elegant Euro-style bedding, and spa–inspired bathrooms with jetted tubs. Furnishings vary in each room with original artwork and antiques tastefully integrated with modern sensibilities and décor. 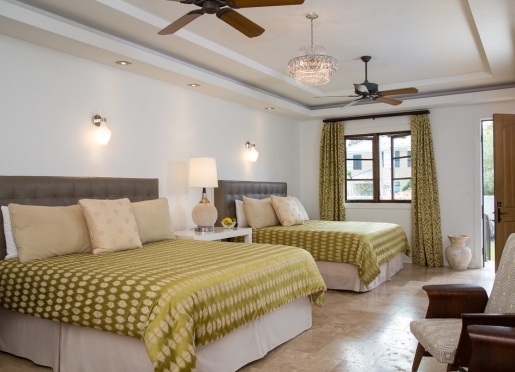 Eight of the suites and guest rooms are equipped with wet bars. Guests share the modern and expansive Great Room on the first floor level which includes a bar, open kitchen, sitting area and breakfast room. Our complimentary cooked-to- order Signature breakfast is served daily with a full Southern-style breakfast on weekends. You are within walking distance of restaurants and shops in New Smyrna Beach’s historic downtown and a short distance from the seaside community’s sprawling beaches, surf shops, and Flagler Avenue's beach-side galleries and eateries. Overnight dockage is available for guests with boats, and fishing opportunities are abundant in the backwaters and bays of the Indian River Lagoon and nearby Canaveral National Seashore Park. Or just sit on the dock, sip a glass of wine, and watch the dolphins swim by. Travelers are always looking for memorable and relaxing experiences. Let’s discover more through the words of our innkeepers. Many thanks to Brett, Scott and Taylor Smith for sharing their own secrets with BBOnline.com! 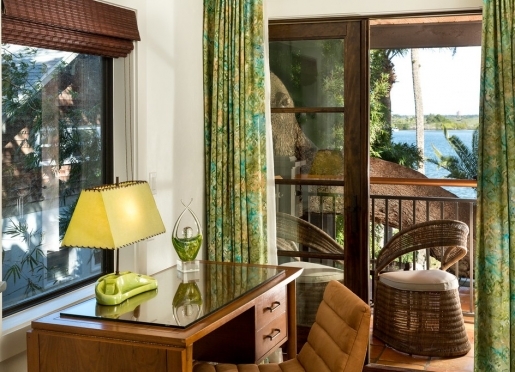 The Black Dolphin is the choice of savvy travelers because we offer a great value proposition, an incredible vacation lodging product, and a high level of attentive and professional service. We not only have to have unmatched ambiance and hit the right style notes, but our welcome has to be warm without fuss or formality, our rooms have to be seductive with thoughtful extras, and our guest’s stay must be memorable for all of the right reasons. 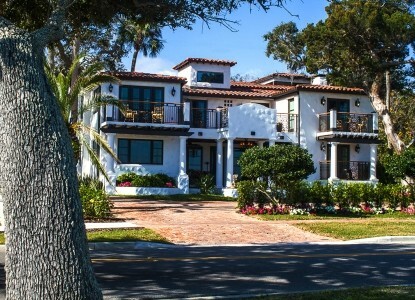 Although we have only been open for 13 months, the Black Dolphin Inn is best known for its amazing waterfront location where guests can interact with the nautical surroundings of the Indian River, a place with equal parts luxury and serenity that is stylish and warmly inviting, and where the continuous enhancement of guest value is the primary goal of our team of hospitality professionals. 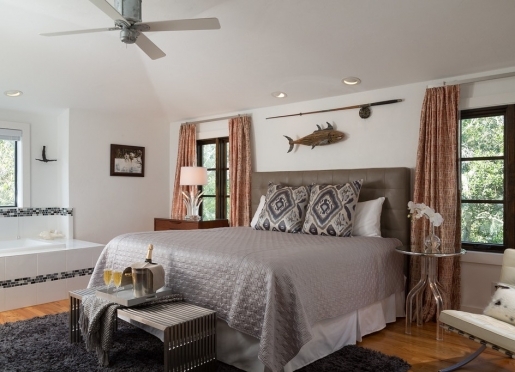 The Black Dolphin Inn is unique in that our sense of style and design forsakes traditional grandeur – yet it provides a cozy sanctuary that lies between the intimacies of a bed and breakfast and the indulgent comforts of a boutique inn. The right balance between design and functionality, combined with a passion for detail - and the latest in technologies provides us with that “edge” that separates us from the competition – both in value and the guest experience. Waterfront location on the shores of the Indian River where dolphins patrol the dock, sea turtles take up temporary residence, and gentle manatees lumber along the river. What I love the most about the inn is the opportunity that we have as hoteliers to enrich the quality of our guest’s lives, to create great guest memories that are long-lasting, and equally as important – to make new friendships that will have the effect of personally enriching our lives. There is no one single reason that guests come to New Smyrna Beach – rather it’s an amalgamation of different factors including our warm temperate climate, pristine beaches, vibrancy of the community – with its laid back and relaxed surf vibe, our incredible eco-system and abundance of nature parks, world famous fishing grounds, best surf break on the Eastern Seaboard, eclectic mix of retail, restaurant, and attractions – not to mention a very high affordability factor that translates into a great value proposition for our guests and visitors. 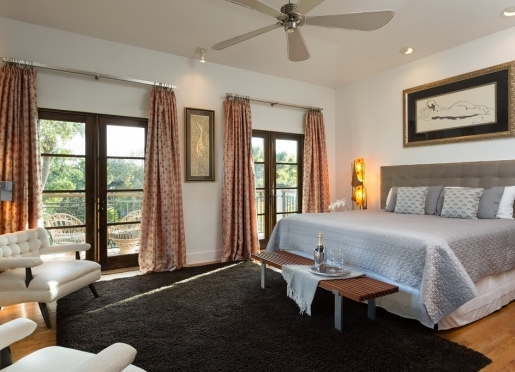 Since the Black Dolphin Inn just opened for business in late February, 2013, probably the biggest compliment that we received is our recent ranking as one of the Top 10 Bed & Breakfast and Guest Houses in Florida by The Guardian, an international media conglomerate. Equally impressive, was our selection as the host property for the production of an independent full length movie called Waves of Grace – in which we housed all of the actor, actresses, and production staff for a period of 30 days. And lastly, the amazing reaction to our distinctive interior design – where we seamlessly blend Florida history, modern luxury, and all that embraces the eclectic energy as well as the laidback coastal vibe of New Smyrna Beach. 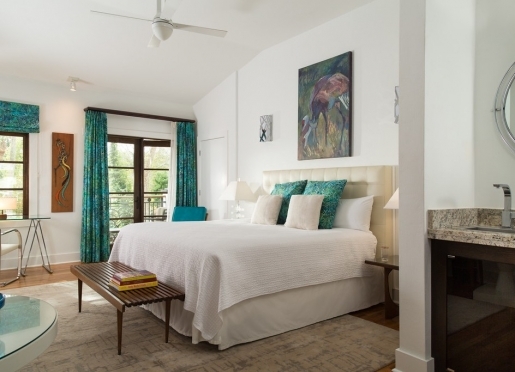 To be described as the W of Bed and Breakfasts, a sanctuary of “southern” cool, an experience that actually “moves’ people in a way that a good book, movie, or piece of art affects you is very exciting. New Smyrna Beach, without question, is probably the best kept secret on the Central East Coast of Florida. It is just now beginning to gain traction as a burgeoning destination for a diversified mix of market segments – especially from “radius of efficiency” feeder markets such as Orlando, Jacksonville, Tampa, and Palm Beach. Where else can you find one of the greatest beaches and coastal eco-systems in North America, in close proximity to the number one tourist destinations in the US, Orlando, FL – and where no one seems to know your name despite receiving the following accolades? With new hotels, inns, bed and breakfasts, and other vacation lodging products being developed and operated in New Smyrna for the first time in 25 years – the destination will expand its domestic and international exposure on an accelerated basis in the years to come. 1. 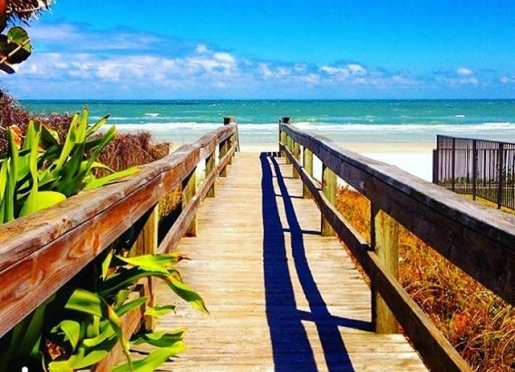 Day 1 - Southern Beach Area – Pack a lunch and head to the southern tip of the New Smyrna Beach barrier island to the Canaveral National Seashore, which is part of the National Park Service. Here you will find beautiful beaches as well as adventures to explore. This park is home to the Eldora State House, an historical residence which allows the visitor to see what it was like to live in Florida in the nineteenth century. Another must see is Turtle Mound, the highest shell midden in the nation, with a circular boardwalk to the top and breathtaking vistas of the estuaries and Mosquito Lagoon. The park’s 24 miles of undeveloped beach and 58,000 acres of barrier island, open lagoon, coastal hammock and pine flatwoods provide you with a day of exploration and Florida nature at its most natural. On the way back to the Black Dolphin Inn, you might want to stop at JB’s Fish Camp, less than a mile south of the Park. Here you will find a full service restaurant and bar, along with kayak rentals for further exploration along the waterways. 2. Day 2 - North Beach Area – The north end of the barrier island is home to Smyrna Dunes Park, 250 acres of pristine land surrounded on three sides by water. Two miles of elevated boardwalk among the dunes along with observation towers, picnic areas and pavilions, offer sights of gopher turtles and their natural habitat. On the east side of the park you will find the jetties with options for fishing and surfing. Walking around the tip of the peninsula you will see the Ponce Inlet Lighthouse, across the waterway. A little further and you will run into the dog beach, which is the only area in New Smyrna Beach which allows dogs to frolic in the water. After a day at the beach in Smyrna Dunes Park, head back to Flagler Avenue for refreshment among the many restaurants and bars on the half mile stretch between the Atlantic Ocean and the Intracoastal Waterway. 3. Day 3 – Deland and Blue Springs – To the west of Volusia County lies the sleepy town of Deland where you will find an antique shoppers paradise. This tiny town also is home to Stetson University, Florida’s oldest private college with tree-lined streets and historic buildings. The main street of Deland is filled with restaurants and cafes, along with book stores, gift shops and many antique shops to fill your day. A short fifteen minute drive will lead you to Blue Springs State Park which encompasses 2,600 acres including the larges fresh water spring on the St. Johns River. This spring is a designated Manatee Refuge and is the winter home to hundreds of sea cows looking for warmer waters. River boat tours are available or you can rent a canoe and explore on your own. 4. Day 4 – Daytona Beach – Fifteen miles north of New Smyrna Beach lies the city of Daytona Beach. Here you will find the Daytona International Speedway, with tours available putting you on the same track as your favorite NASCAR driver. Or visit the shops and restaurants of Beach Street where, across the street, you can see the baseball stadium named after Jackie Robinson who played here in the first integrated spring training baseball game in 1946. Head over the bridge to beachside and visit the newly renovated Main Street Pier where you can fish, enjoy the boardwalk and dine at Joe’s Crab Shack. In addition to these activities, New Smyrna Beach provides many opportunities to enjoy water craft, shopping, biking, walking or jogging. Whether you want a vacation filled with exploration or just a “day at the beach,” you will be pleasantly surprised at variety of activities from which to choose. The Black Dolphin Inn is located along the shores of the Indian River and within walking distance of museums, shops restaurants. Strolling along the River, heading north from the Inn, you might see kayaks, paddleboards, sailboats or the occasional mini-yacht heading out to the Atlantic Ocean. Just two blocks from the Inn lies the Old Stone Wharf Archaeological Site, which was considered the center of town in the 1770’s. Another couple of blocks will lead you to several local art galleries with eclectic mixes of artwork, sculpture and photography. Riverside Park includes a children’s play area, along with a boardwalk that leads to the dock where you can board a water taxi taking you to several stops along the river including Flagler Avenue, a half mile stretch loaded with shops, galleries, restaurants and bars. If you choose to stay on the mainland, there is a restaurant on the river as well as several on Canal Street, ranging from pizza to fine dining. On Saturday mornings you can walk to the Farmer’s Market where you will find local produce, seafood, nursery plans, breads, bagels and pretzels baked at the market, along with local artists displaying their wares. Just around the corner check out the Little Drug Company, a full service pharmacy with soda fountain and restaurant, operating since 1920. The minute you step through the door, you will feel like you entered a time machine, taking you back to the 1950’s. On the second Saturday of each month, from 4-8 p.m., the street is filled with hundreds of antique automobiles. Classic car enthusiasts love this event and the memories that go along with it. There is also a movie theater and library within walking distance to the Black Dolphin Inn, providing a relaxing respite from all that exploring. As personal concierges to our guests, we rely on our expertise and feedback in recommending a multitude of different dining options from formal to casual and everything in between. For such a small geographic area, New Smyrna Beach has over 100 restaurants, both on the mainland and beachside. Our favorite Italian restaurants might include The Garlic, with cuisine from the Tuscan countryside; or That’s Amore, a more casual experience. For American tastes you might try Jason’s Corner, on Canal Street, or The Atlantis Bistro, on Flagler, Avenue. The Spanish River Grill, on beachside, boasts a modern approach to Latin cuisine, while Clancy’s Cantina will satisfy your Mexican cravings. If you prefer seafood, there are several wonderful local restaurants including Norwood’s and Boston Fish House, as well as Blackbeard’s Inn and Off the Hook. Thai Mango and NSB Yu-Mi will fulfill the need for Asian or Sushi, and Tatum O’Brien’s will amaze you with their Irish selections. As you can see, New Smyrna Beach offers a myriad of dining opportunities, too many to list here, and choosing one favorite is impossible. The Black Dolphin Inn Website– is probably the best website in terms of providing guests with a comprehensive overview of the New Smyrna Beach landscape and the amenities and service of the Black Dolphin Inn. Our focus in developing the website was to make it very user friendly in terms of navigation – while at the same time promoting the many attributes of our destination which makes New Smyrna Beach such a compelling place to visit. 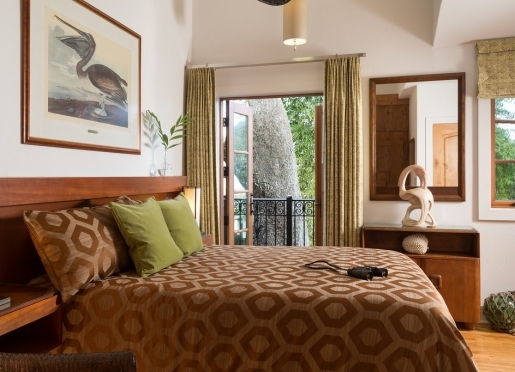 The Black Dolphin has 14 units – 10 of which are hotel rooms and 4 that are one bedroom suites. Guests are responsible for all room nights reserved, regardless of the guest's confirmed arrival and departure date. Cancellations must be initiated at least 5 days prior to 3:00 pm of the day of arrival for a full refund - less a $25 processing and handling fee. Guests who do not cancel within this time frame, will forfeit their entire deposit - unless the room can be re-rented for all nights reserved.